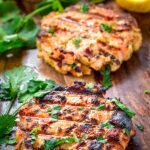 Call these Salmon Burgers or salmon patties, whichever you want them to go by are handmade fish patties made from fresh chunky pieces of salmon and used for burgers. These salmon burgers come together quick and are sandwiched between buns, cheese and a quick and easy tarter sauce made from scratch. These salmon burgers are so versatile as you can serve these with an avocado salsa instead of tarter sauce and substitute the bread called for, so many different ways (breadcrumbs, croutons soaked in water, slice of bread, crackers soaked in milk and etc….) I wouldn’t omit the herbs because I do think that enhances the appearance as well as the chunky fish pieces (it gives nice texture!) This recipe makes six burgers and you can totally ditch the buns and serve on top of salads or alone with some veggies and tarter sauce for a more leaner approach. A must make fish patty to try, especially since summer is approaching! 2. Combine all the patty ingredients except for the fish and let the bread soak up and soften. 3. Meanwhile cut the fish into small chunks and add to the mixture. Form into 6 patties. 4. 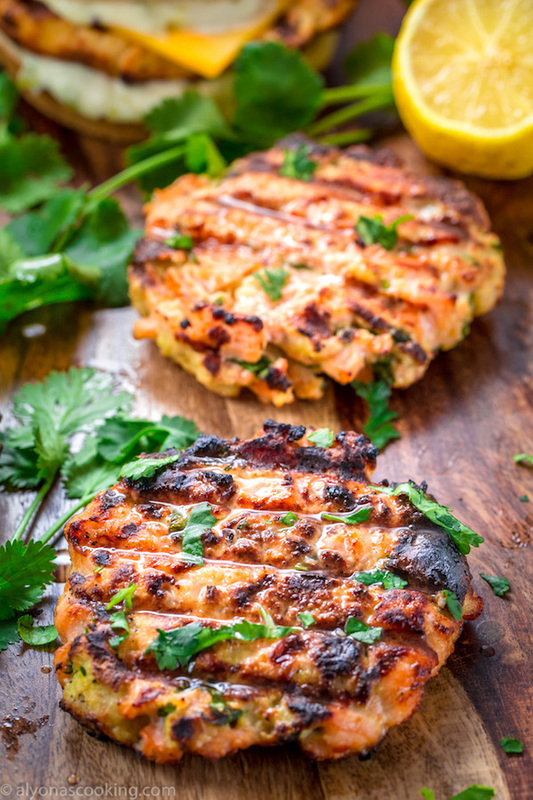 Place patties onto lightly greased grill grates and reduce heat to medium. Grill 3 minutes on each side. 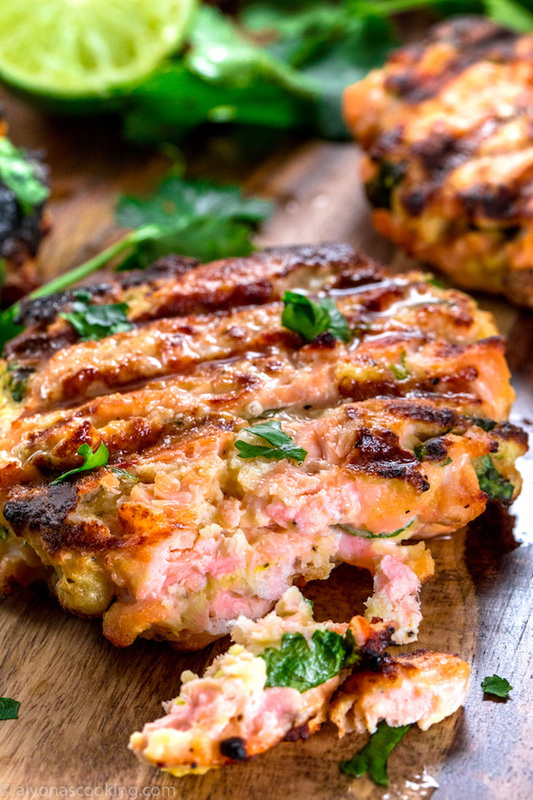 Whether you call these Salmon Burgers or salmon patties, these handmade fish patties are made from fresh chunky pieces of salmon and in this case used for burgers. Made from a simple mixture these salmon burgers come together quick and are sandwiched between buns, cheese and a quick and easy tarter sauce made from scratch. Combine all the patty ingredients except for the fish and let the bread soak up and soften. Meanwhile cut the fish into small chunks and add to the mixture. Form into 6 patties. Place patties onto lightly greased grill grates and reduce heat to medium. Grill 3 minutes on each side. So far these are my best burger patties I have ever tried. Thank you!